The embattled former Philadelphia Eagles coach makes his return to the City of Brotherly Love. Pat Solitano Guy: I’ve gotta tell you, man, things are really going well with Timberly. Chris Tucker Guy: That’s great, but do you know what, though? She reminds me of someone. Pat Solitano Guy: Who? That girl, uh, Amden? The one from our sleepover therapy class? Chris Tucker Guy: Nah, man. Ah, I’ll think of it. Pat Solitano Guy: So, are you amped up or what, buddy? We’re going to kill Fat Andy and the Chiefs tonight. Tough one last week, but I’m looking forward to taking it out on the ol’ Walrus. Chris Tucker Guy: We’re gonna win for sure, but I’m kind of happy for Andy. Pat Solitano Guy: Happy? I mean, sure, there were good times, but he only got us to the Super Bowl once in all those years. Chris Tucker Guy: Five NFC Championship Games and one Super Bowl in fourteen years isn’t bad, though. Rotund Woman: I agree. Andy gets a bad rap. Pat Solitano Guy: (Getting angry) Oh, excuse me, sir. I didn’t realize that you were a part of our conversation. Rotund Woman: How dare you! I’m a lady! Chris Tucker Guy: (To his friend) Easy, buddy. I thought you were better with that anger stuff now that you’re with Timberly. Pat Solitano Guy: You’re right. I’m sorry. Chris Tucker Guy: I apologize, ma’am. My friend gets angry when he’s hungry. Like those Snickers commercials. You know? Rotund Woman: Of course I do. Those are my favorite commercials! Pat Solitano Guy: So, you liked Fat Andy? Rotund Woman: Yes, I liked Andy Reid. He’s the winningest coach in Eagles history and he helped turn our franchise from a laughingstock into one of the model organizations in the entire NFL. Rotund Woman: Oh, so it’s his fault his son died and his personal life was affecting him. Chris Tucker Guy: The lady’s got a point there. Pat Solitano Guy: Alright, but what about his clock management? That was a joke. Every columnist and pundit in the world ripped on Andy and the way his handled our timeouts during crunch time. I can’t tell you how many snide Bill Simmons columns and comments I had to grit my teeth through! Chris Tucker Guy: Well, you didn’t have to read them all. Rotund Woman: Yeah, and it wasn’t Andy’s fault. I mean, what was he supposed to do with all those timeouts? They were just sitting up there on the scoreboard as lit up little circles—kind of like the food that Pac Man ate. What, was he just supposed to let them sit up there? Just conserve them for when he needed them? Like some kind of ant? Rotund Woman: The Grasshopper and the Ant Story! Chris Tucker: My mama always used to tell me that one. Rotund Woman: See, he gets it. Pat Solitano: You know something? You’re not making any sense. Rotund Woman: No, it’s you Philly fans that never make any sense. You all just can’t accept things when you’ve got them good. Did you ever think that because you expect things to go wrong that they inevitably do? All the juju and smashed remote controls in the world aren’t going to change that negative thinking. Sometimes you’ve just got to appreciate what you’ve got and not obsessively focus on what you don’t have. It’ll help your blood pressure. You’ll live a little longer. Chris Tucker Guy: Easy, lady. This guy has gotten into many a fistfight in the parking lot at the Vet and the Linc. Pat Solitano Guy: I can’t believe what I’m hearing! You’ve got some nerve. Sure Andy did some good things, but we never got that Super Bowl. Rotund Woman: Oh, so it was my fault that Donovan couldn’t run the hurry up offense against the Patriots in the Super Bowl? Chris Tucker Guy: Your fault? 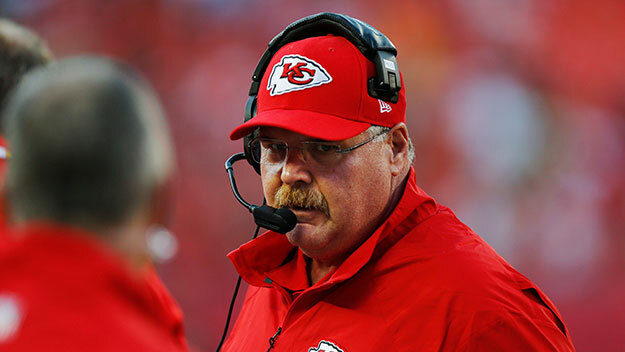 Rotund Woman: Well, yeah, uh, I just get a little defensive about Andy Reid. I thought he was a great coach. Pat Solitano Guy: Look, I didn’t want to say anything before, but what’s with the moustache? Chris Tucker Guy: Yeah, I mean that’s more than just being lazy. Rotund Woman: Uh, uh…hey, isn’t that Buddy Ryan? Rotund Woman: I just saw him go down there…yeah. He’s a legend! Pat Solitano Guy: Buddy! We never won a playoff game with you, but at least you had the toughest defense in the league and gave the team a dirty, gritty vibe that fit our self-destructive collective citywide psyche! Rotund Woman: The barbecue in Kansas City may be heaven, but the Philly Cheesesteak will always have my heart. And fill it with cholesterol. Pat Solitano Guy: She tricked us, man! Buddy was nowhere to be found. And you know, something, she looked a lot like Fat Andy! Chris Tucker Guy: Now I remember what I was going to say before about Timberly! Pat Solitano Guy: What was it? Chris Tucker Guy: Doesn’t she remind you of that actress Jennifer Lawrence? Pat Solitano Guy: You know I don’t watch a lot of movies. Thats a really funny story... thanks for sharing... and I think Kansas are doing a great job on the NFL this season with 6-0 they are looking good!! !